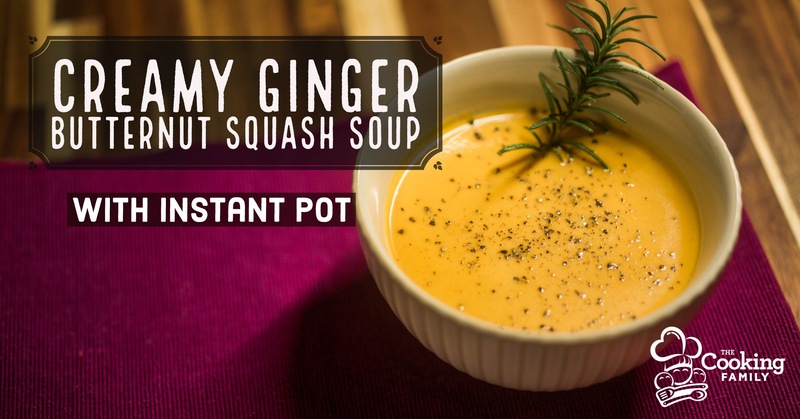 This is such a yummy comfort food, perfect for the fall season. The combination of apples and squash, ginger and cream, makes a delicious blend of sweet and tart, warm spice and cool cream. You just have to try it! Now, there are lots of ways to prepare your ingredients, but for me, when I see a recipe call for sliced, peeled butternut squash, it literally makes me cringe. That chore is one of my kitchen nightmares! Cutting up a butternut squash is hard! So I don’t do it. Let me show you an easier way to “skin that cat” with an Instant Pot!